If you rake it, they will come. Is it possible that every once in a while, life can actually get less complicated? My neighbor Melinda was out the other day raking leaves into the street. I asked her if she knew whether we are supposed to bag them or what? She said, “I don’t know, but I’m thinking of calling.” I shrugged and shuffled through the pile of leaves around my car. It turns out that you can forget about bagging the leaves. Simply rake them into a pile in the curb. The curb part is true, while the pile part seems to be optional. Then, as the sucking machine makes its rounds through town, it will eventually get to your leaf collections. Once they end their route, they start all over again. 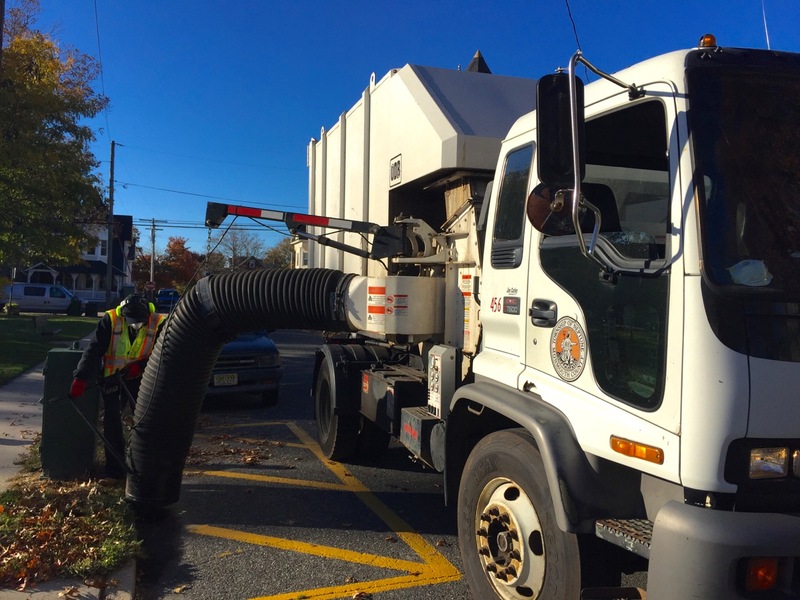 So, for those of you who sometimes feel nostalgic for the autumn aroma of burning leaves, the Neptune DPW presents us with a November gift of leaf cleanup and clean air in the fall. 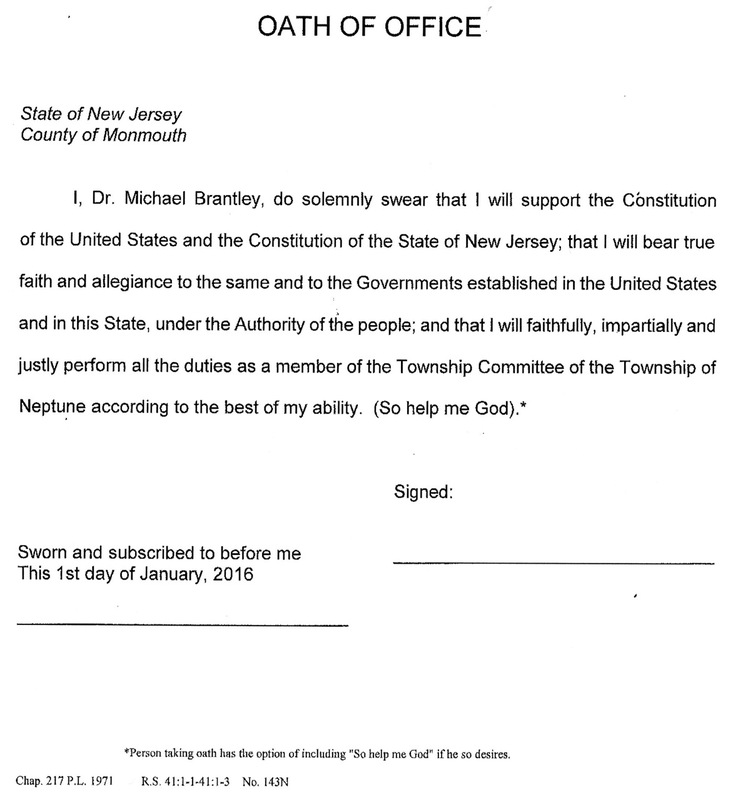 Neptune Twp. authorizes rummaging through your garbage. This morning we put out one small bag of yard waste. The bag was tied. The trashmen sliced it open and left it as a stark, rude message to not mess with their yard waste rules. 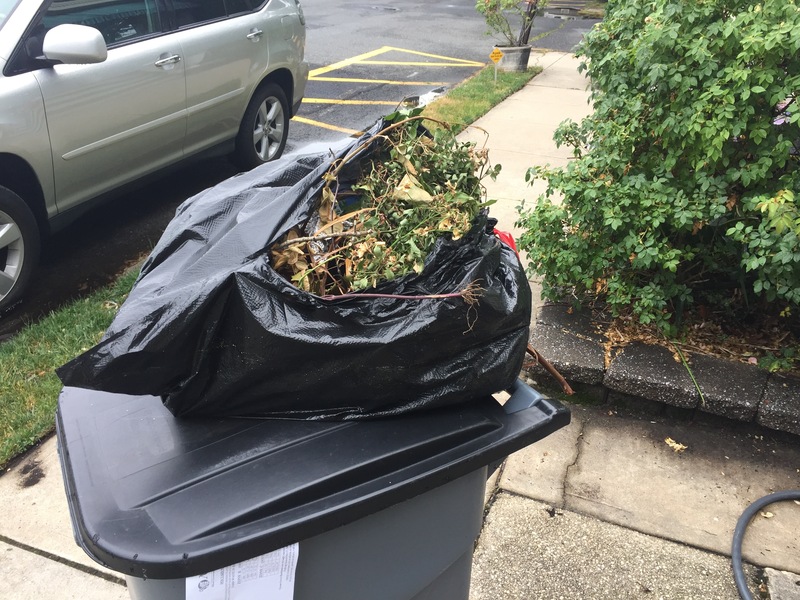 They also left a copy of the yard waste pickup schedule, but it seemed to us that if you go out and pick a few weeds, that you should not have to jump through hoops for that. What if we just had a bag half that size; or just a small bundle of branches? What if we had mixed our weeds in with the regular garbage? Would we have been rejected for that? Where do they draw the line? Why don’t they open everybody’s garbage bags, all of them, to look for contraband, toxic waste, weapons, explosives, electronics, recyclables and other items that should not be in the regular garbage? Maybe they will find a handful of grass or some leaves amongst the coffee grinds, the orange peels, and the dead flowers from your Mother’s Day bouquet. Why was my garbage bag singled out? It was tied shut. Did they use plant sniffing dogs? Did they squeeze my black bag and guess what was in it before they cut it open? No one opened my white kitchen bags which were out this morning for pickup. Maybe there were some dead roses in there. Unless the snoop police open everybody’s garbage, they are guilty of unequal justice under the law and of discrimination. This is an invasion of privacy and it is an abuse of power. I find it offensive. What we have here is a slippery slope. Neptune Township has been breaking State RSIS laws for years, but put out some weeds, and they will consider it an actionable offense. Abuse of power always begins with minor actions that may seem trivial at first, and when no one objects, things will get worse. Just read history to verify that point. And then it is over. The graduates emerge from the Great Auditorium. What do their faces reveal? Monday night. June 20, 2016. the first day of summer. I got to the Great Auditorium as the names of the Class of 2016, Neptune High School, were being read. There was a joyful noise as cheers erupted, one after the other, like a happy chain reaction. Then they all stood for the Star Spangled Banner, and then over 300 Scarlet Fliers were clutching their diplomas as they flowed out into the twilight. I stood there, enveloped by the moving throng. There were hugs, kisses, laughter and yes joy all around me. It was hard to focus the camera. The crowd was in motion as the grads greeted their families, friends and colleagues. No doubt there will be parties, as there should be, because this is such a momentous accomplishment for these teen-aged students. At this moment, only the here and now seemed important. I was shooting very quickly, recording motion all around, trying to capture moments of truth. There was little chance for composition. When the images later popped up on the computer screen, I was surprised to see the faces. Besides excitement and happiness, so many seemed serious. What was in their minds? Was it fear of the future or were they merely overwhelmed by the moment? They can’t control the expressions on their faces, but they will have many chances later to reflect on the meaning of what just occurred. 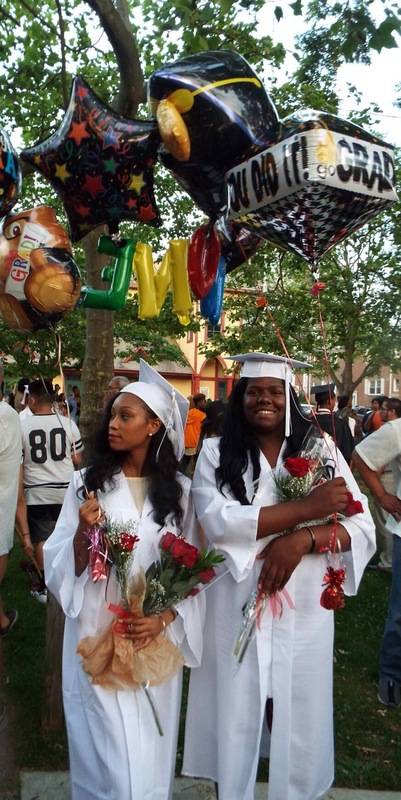 So congratulations to all the grads of Neptune High School ’16. This is an achievement to be proud of. Click on the music and then click on a photo for the ultimate multimedia BF experience. Click on one and follow the arrows. Click small X to go back. True Conversations: The battle of the grassy strip. Even cute dogs and kids need to follow the rules. Paul Goldfinger photo. 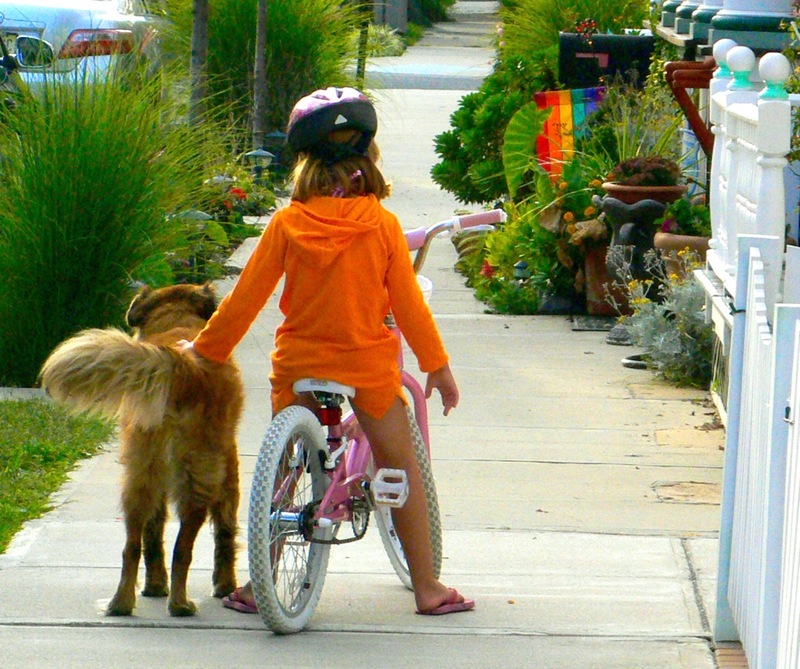 © Ocean Grove, NJ lifestyles. Setting: Eileen is looking out our window onto Delaware Avenue. A woman is walking her two dogs on our grassy strip. Eileen steps out onto the porch and speaks to the dog walker. E.: Could you not let your dogs do their business on our grass? DW: I’m cleaning it up. E: The urine kills the grass. DW: I’m doing the best I can. E.: That’s why you have the dogs on a leash. DW: Well, it’s not really your grass–it belongs to the town. E.: I am responsible for the grass.We grow the grass and we take care of it. Below is a link to a related article in Blogfinger, 2015. 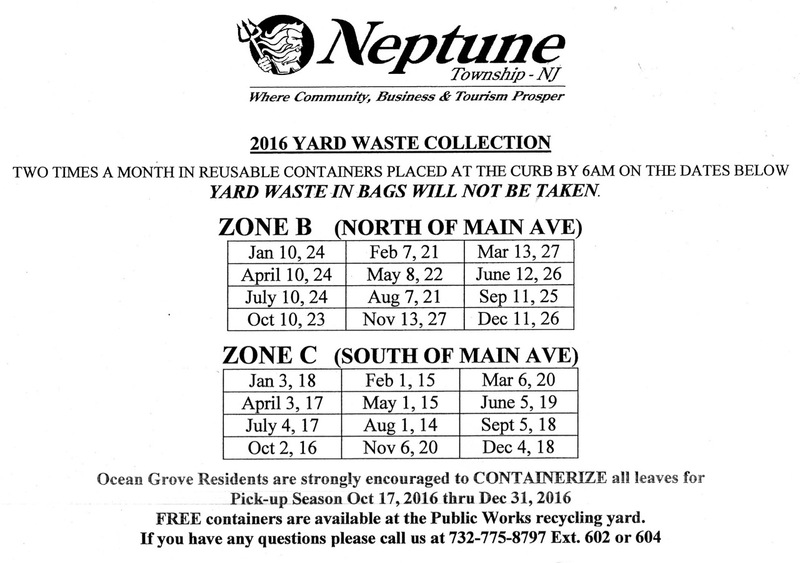 Yard Waste Collection in Ocean Grove. What’s with Randy Bishop? Here today and gone tomorrow, or here today and still here tomorrow? Committeeman Randy Bishop recently announced publicly that he would be leaving his posts on the Township Committee and on the Planning Board in order to take a position appointed by the State of New Jersey. But he is still present, and the changeover was supposed to have happened by now. In fact, replacements were being considered for his Committee seat. But Bishop has not resigned his post on the Committee after all, and he has not, to our knowledge, publicly explained his plans. 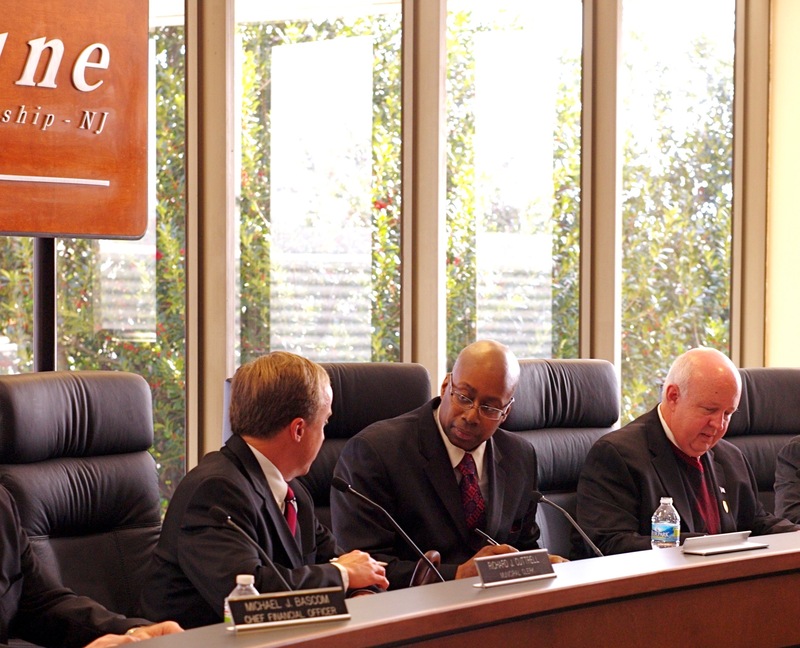 Will the new Township Committee sign a Redevelopers Agreement with WAVE? The North End Plan appears headed in that direction. 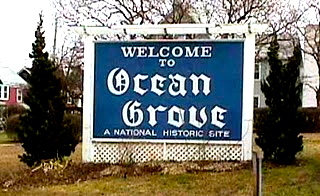 Welcome to the Ocean Grove North End Redevelopment zone. Blogfinger photo. By Paul Goldfinger, Editor @Blogfinger.net. Jack Bredin, Researcher @Blogfinger. 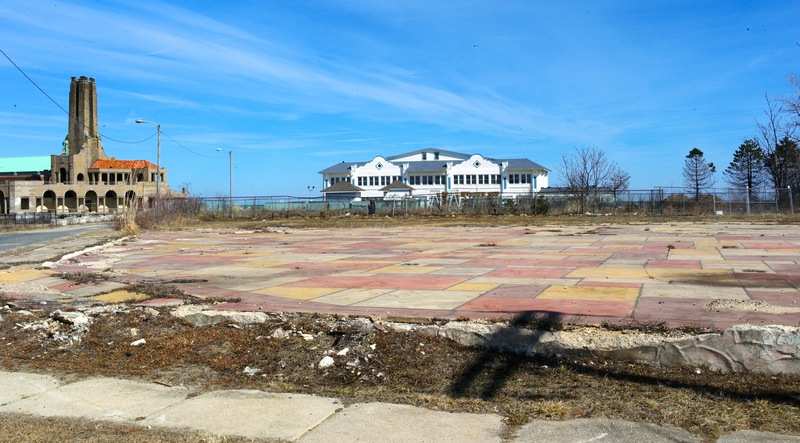 Since 2007, the Ocean Grove Camp Meeting Association and the North End financial backers–WAVE— have been promising to move ahead with the North End Redevelopment Plan. That official NERP was passed by the Neptune Township Committee in 2008. In order to get the process really moving, beyond the conceptual phase which has been dormant for years, at least 3 affirmative votes by members of the new 2016 Neptune Township Committee would be required to approve a Redevelopers Agreement (contract) with WAVE regarding that 2008 NERP. After that, a resolution approving the contract would be signed by the Mayor and the Township Clerk. Public hearings should be held to announce the new agreement. If WAVE wants to change the plan from the 2008 concept to something else, then the entire process has to start again from scratch. At the February 8th meeting of the Township Committee, the Committee’s attorney, Gene Anthony, announced that he had recently received a message from WAVE that WAVE and the OGCMA were completing their private agreement and that, secondly, WAVE has a new investment “partner.” When everything is finalized, they will combine their financials and make a presentation. They will have to disclose everyone involved who has over a 10% interest in the plan. We don’t know if any of the present members of the Township Committee have attended any of those private meetings along with the Township Attorney. We don’t know if any of the 2016 Committee know much about the NERP and its questionable features. The agreement announced by Mr. Anthony should be completed by mid-February, so then we’ll see if Sisyphus can push this boulder up the hill. 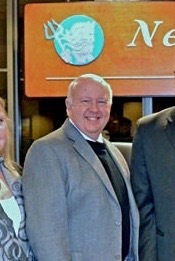 Randy Bishop, 2012. Blogfinger file photo. “I just want to thank the Board for the eleven years I served on the Planning Board. “I will not be the Committee liaison in 2016. “It appears that I will be appointed to a State position and I would have to leave the Governing Body. * I would like to stay on, but as the law is, I cannot. “This will be my last Planing Board meeting. “I received word today that the appointment that will launch my next mission will take place on January 7, and sent to the floor of the Senate on the 11th. Township Committee to take oath of office on January 1. One new member will be delayed. As many of you know, when Eric Houghtaling was elected to the State Assembly last month, a space was created for a new Democrat on the Township Committee. 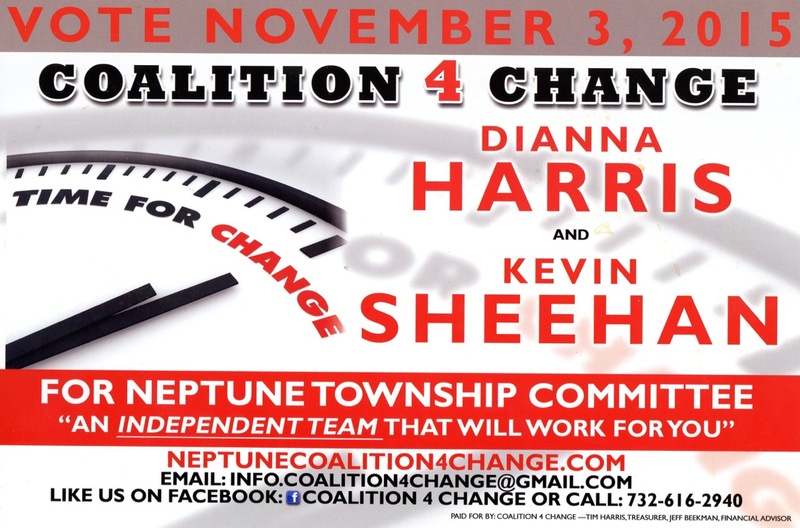 The 5 person Neptune Township Committee contains 5 Democrats. Houghtaling will attend the Jan. 11 Committee meeting and then he will be sworn in for the New Jersey State Assembly the next day. Eric Houghtaling was popular in Ocean Grove because of his special interest in our part of Neptune, even though he is from another district. The DCC members are elected in the June primary (held every other year,) and one of their tasks is to choose the Democratic candidates for November. As you may recall, the Democrats recently won the two open seats on the Township Committee. They will choose Eric Houghtaling’s replacement from a list of three candidates. We will probably not learn the identity of the new Committee person until the January 25, 2016 Township meeting. So what price will Ocean Grove continue to pay by having one-party rule in Neptune Township and without having a Committeeman who has a special interest in Ocean Grove? Why doesn’t the oath say something about enforcing State standards and regulations—or Town ordinances? But it does mention “under the authority of the people,” so don’t forget that as you the people ponder the performance of the Neptune Committee, their power flows from us. Two non-Democrats are running for Township Committee. Election on Nov. 3, 2015. It’s been 7 years since a non-Democrat has been elected to the Neptune Township Committee. The election on Nov. 3 will offer two four-year terms to be filled by the voters. 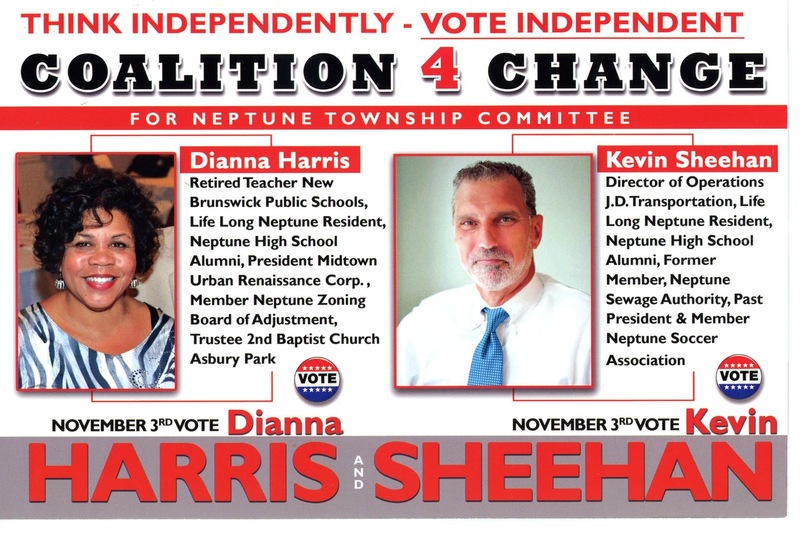 Dianna Harris and Kevin Sheehan are on the ballot as the “Coalition4Change.” Yesterday a team of pamphleteers scoured our neighborhoods, handing out the card shown above (both sides). I was on my porch enjoying a sunny Saturday in the Grove when a smiling young man handed me the card, but as I said, “What’s this?” (suspecting a menu from some joint,) he was gone. Wouldn’t it have been better if Harris and Sheehan had been strolling along with these latter-day Thomas Paines? The 18th century version of information-giver may have been a pain as he rode into town on his horse, sending dust, manure, and pebbles flying, but at least you could flag him down and ask a question. The scenario is that incumbent and Mayor Mary Beth Jahn was shut out of the re-election process by the local Democrat party. She is quoted as suggesting that women not vote for any of the Neptune Democrats because of how she was treated. The Democrats who are running for those two Committee seats are incumbent Michael Brantley and Nick Williams. Harris and Sheehan say, “Vote Independent,” so their party affiliation must be Independent unless they are playing some sort of identity games. We know that Sheehan has been a Republican. Harris is a member of the Neptune Zoning Board of Adjustment. I have contacted these Independent candidates to see if they want to discuss Ocean Grove issues with me. I want to know where they stand on the North End Redevelopment Plan fiasco. And I want to know if Dianna Harris will tell me how she feels about the zoning manipulations that have gone on at Mary’s Place and with the North End Plan (dating back to 2008). If I hear anything from them, I will let you know. As for Brantley and Williams, will they shed any light and transparency on the OG issues that Brantley has so far, said nothing publicly about? Maybe Nick Williams will contact us with his views regarding these contentious Ocean Grove matters, or is he merely an appendage to Brantley?